LONDON, UNITED KINGDOM--(Marketwire - March 3, 2011) - For many firms, the attraction of social media marketing comes in its cost effectiveness in relation to the results that can be achieved. And whilst it's entirely possible to boost traffic and sales through social media marketing without the need for heavy investment, social media agency Punch Communications claims that hiring a specialist firm to deal with the running of the campaign can prove more cost effective in the long term. Punch has compiled a number of ways in which hiring a social media agency can actually save a company money. Save time and resources – although launching a social media marketing campaign can be achieved with little to no investment, maintaining and monitoring a campaign requires time and resources, more than most firms often realise. And when 'time is money', handing the work over to a dedicated agency can actually prove to be a better decision financially. Avoid the steep learning curve – there is a steep learning curve when firms first start to get involved in social media marketing, not least in defining the role that social media should have in the company's marketing efforts and working out how to implement it. By choosing the correct platforms to focus on and adapting the right approach in relation to the objectives of the company, Social Media Agencies can avoid the need to invest in the time and skills required to make a social marketing campaign worth the effort. Reduce costly mistakes – approaching social media marketing in the wrong manner can harm the image of a firm which can lead to negative feedback, and this can even have an impact on business. The likelihood of such a situation is reduced considerably when using the services of a social media agency. Better results – even when a firm sets out with firm objectives, using social media in a way that is beneficial to the company is not always easy. A social media agency can harness the power of social media to improve sales and referrals, enhance the image of a firm and drive more customers to both online and real-world properties, all of which can have huge financial benefits for companies. Pete Goold, Managing Director of Tech PR Agency Punch Communications, commented: "Although it is possible to create a social media presence with very little investment, most firms simply don't realise how much goes into getting positive results out of social media marketing. Hiring a social media agency often works out as the most cost-effective solution because a firm can help to define and deliver upon specific objectives more effectively." 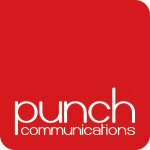 Punch Communications is a specialist PR, Social Media and Search Agency helping companies of all sizes to achieve their online marketing and PR goals. Find Punch at www.punchcomms.com or call the team on +44 (0) 1858 411 600.